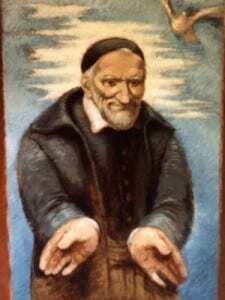 During the conference of August 6, 1656, which dealt with the theme of the spirit of compassion and mercy, Vincent reminded the Missionaries from Poland about the necessity for this virtue and also spoke about the way to practice said virtue. Using this text as a basis the author attempts to present the manner in which Vincent, as a person and in his ministry, practiced this virtue. Reflecting on the understanding of the words “mercy”, “compassion” and “charity” we are shown that for Vincent, justice was a higher priority than charity.